PM Marketing - Network Leads LMS, Lead Management System. Your Full Service Lead Management Tool. We provide anyone working in the MLM or Network Marketing industry with a Lead Manangement System. Several companies choose to partner with PM Marketing and give our systems to their downlines to help them succeed. We can provide you or your entire team with an LMS account and all of the systems and training they will need to be better than the average person. To get started right away, simply call 1-386-445-3585 and speak with someone right now. you have set for the next year? Give them the power of LMS and watch your entire organization grow right before your eyes! Discover how working with PM Marketing - NetworkLeads.com can truly benefit you and your organization. Give us a call at 1-386-445-3585 and get started right away. 2017 - 2018 Peter Mingils expands MLM.News, Building Fortunes Radio, and Youmongus Ad Network. 2017 - PM Marketing Network Leads expands Traffic - Visitors to product line to direct highly targeted traffic to websites. 2016 - Home Based Business Training is launched to give people a new training course allowing them to pay in payments. 2015 - MLM.News launches to give people better access to MLM News and Information. 2015 - Building Fortunes Radio continues rapid growth and Building Fortunes Affiliates expands. 2014 - Peter Mingils joins Advisory Board of MLMIA and expands Building Fortunes Radio and Youmongus Ad Network. 2012 - 2013 - PM Marketing expands with The Youmongus Ad Network, and Building Fortunes Radio Station. 2012 - PM Marketing expands the Building Fortunes Program, and continues developing Youmongus Blogs, Youmongus Movies and Push Button Marketing. 2009 - 2011 - PM Marketing develops Phase3 personalized websites and begins creating the new PM Notify. 2009 - PM Motivational Movies is launched to help bring people some powerful movies about inspiring and moving topics. One of the most important resources of all MLM marketers is a constant flow of people taking a look at the products and services you have to offer. PM Marketing - Network Leads is the industry leader in the Leads, Systems, and Training business. 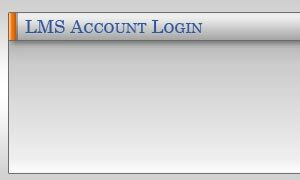 Now, LMS is available for all customers to enjoy. PM Marketing - Network Leads understands how important teams are to MLM marketers. When you signup for LMS, any lead within the team can be transferred to anyone else on the team with the click of a button. There is also a "Team" Bulletin Board available, which makes it easy to advertise Team meetings and other information. "LMS is a simple yet highly effective way of maximizing both your investment in leads and your time working on them." In 1998, Peter Mingils founded PM Marketing - Network Leads. Peter understands, "Anyone can sell you leads." Peter thinks you deserve more than that. PM Marketing - Network Leads will help you build your business by offering the leads, the systems, and the training. He is the past President and current Executive Vice President of a non-proft organization called The Association of Network Marketing Professionals (The ANMP), formerly known as the Distributor Rights Association (DRA).